For nearly twelve years I have worked as a social worker, primarily conducting home visits to a general population out in “the field.” For some readers, the stories I am about to tell may sound so bizarre that you might think they are false. I assure you that every case and event I recount is 100 percent true. The only non-factual parts of this book are the names of the clients and some apartment descriptions. When I was in college and later, when I was pursuing a master’s degree in social work, the idea of people seeking therapy for their problems was almost unheard of. After September 11th, I noticed that this began to change. With an increase in school shootings and bullying, there was a complementary surge in requests for social work intervention. Today, more than a decade later, psychological counseling is much more widely accepted, and there are almost endless reasons for people to seek help. Some of those needs include bereavement, marriage and family counseling, alcohol and drug addiction, and such mental health issues as depression, anxiety, bi-polar disorder, schizophrenia and other illnesses. Fortunately, this new acceptance of therapy provides more options for social workers. 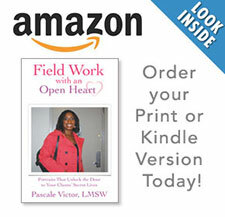 In general, I believe, most people do not completely understand the job of a social worker. If more high schools offered courses in psychology, social work or human services, it would most likely give students a clearer picture of the profession and add to its appeal as a viable profession. Higher starting salaries would definitely attract more people to the profession. However, social workers can work up to six-figure salaries, or a salary close to that amount, depending on their position and years of experience. A social worker’s salary will increase with promotions (i.e. supervisor, administrator, deputy director or director), depending on the agency. Some agencies pay social workers much higher salaries than other agencies, so there is a lot of variability. One of the most unique aspects of the social work profession, which makes it unlike most other careers, is the fact that we can conduct home visits and assess our clients’ environments. It takes a special type of person to become part of new and often shocking human situations every day. Some of the basic personality traits that a person considering this profession needs are: bravery, a sincere interest in helping others, com- passion, and the ability to remain objective, patient and calm under extreme stress. Our work is extremely demanding. What is always extremely com- forting is the fact that our like-minded colleagues are there to share stories and the emotional aspects of the job with us. Trust me…you are never alone. A final word of advice is to avoid the possibility of burnout in this demanding and unique position by spending time with family and friends, and always try to pursue personal passions and interests. These pleasurable and relaxing “escapes” will help you to be more successful at your work.